Serving Miami, Fort Lauderdale, Hollywood and Pompano Beach. 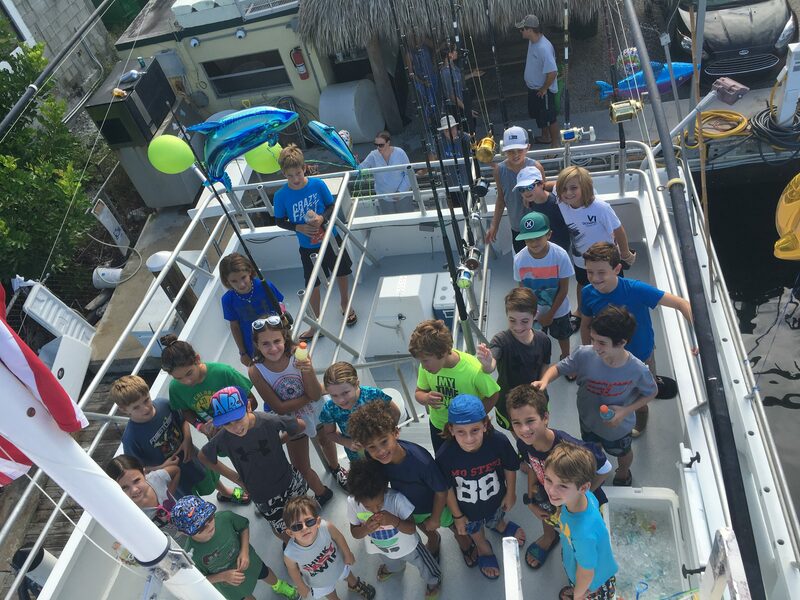 Please call to plan your Kid’s Fishing Birthday Party starting at just $45 on our shared vessel. 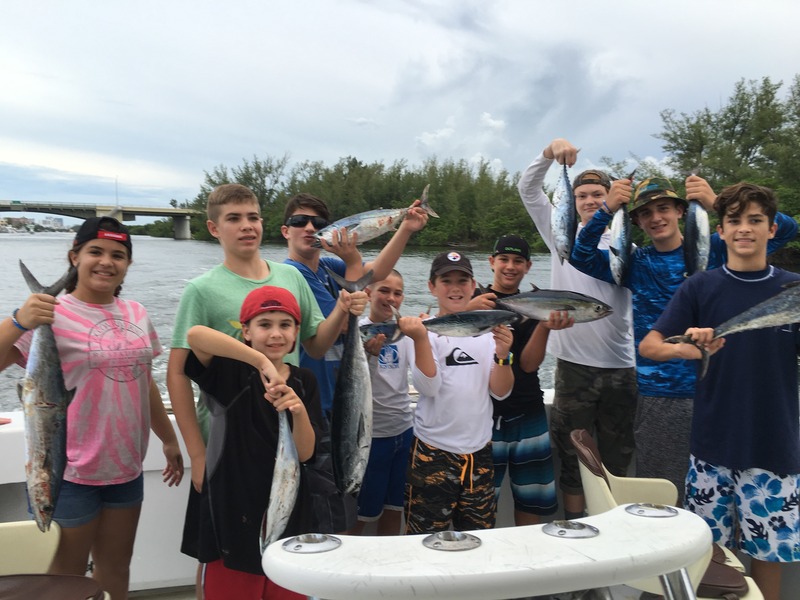 Here at Lady Pamela Sportfishing, we cater our trips to junior anglers and children of all angling experience and talents. This is why we have been voted one of the top “Kid’s Birthday Party Ideas” by our local clients. Our boats are 100% United States Coast Guard certified with children safety standards being our top priority. On all of our boats, we ensure an absolutely clean deck with no fishing line, hooks or any dangerous tackle. Every charter also comes with a USCG captain and a mate, in some cases 2 or 3 mates, depending on the size of the kids birthday party. The Lois Ann can accommodate up to 60 people while our smaller boats can take up to 22. We offer all-inclusive flat rate pricing for your private party. Give us a call for more details. The Lois Ann is our preferred kids birthday party boat as it is the largest boat available and offers the best value if you are on a budget. Leave it to us to decorate the boat per your theme, or come on down early with your decorations and our crew will help you get the boat ready for your party. We supply all coolers and ice, so all you need to bring is food and drinks. On our kids birthday party trips, we make it a point to keep the kids entertained. This trip is a bit different from our standard fishing trips as we want the kids to have a great time the entire time. 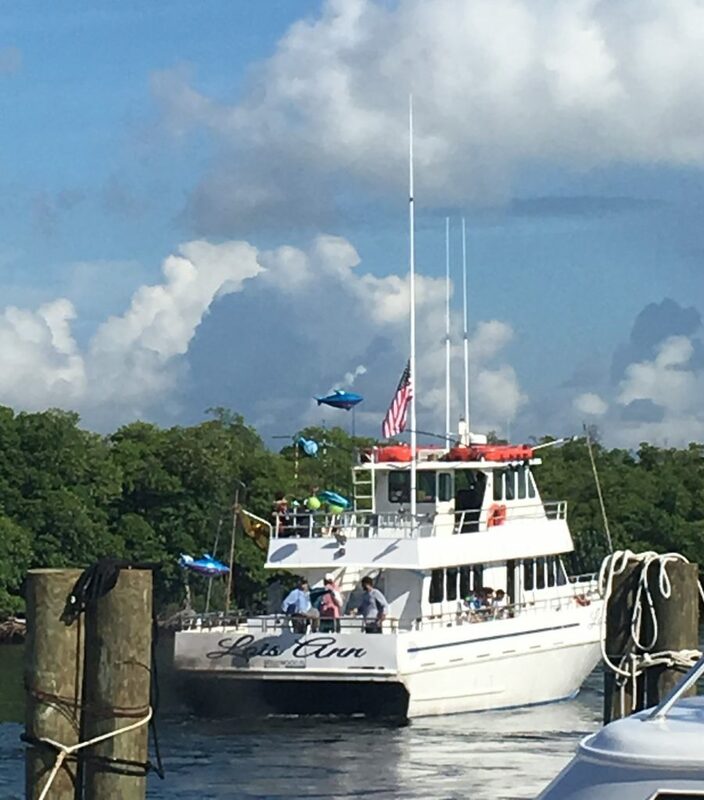 We will show them some great wildlife on the way out with possible Manatee sightings, Ospreys, Pelicans, Iguanas and even Porpoises certain times of the year. Once we start fishing, we go to our spots that typically have snapper and lots of them to keep the action going. Our trips are flexible. 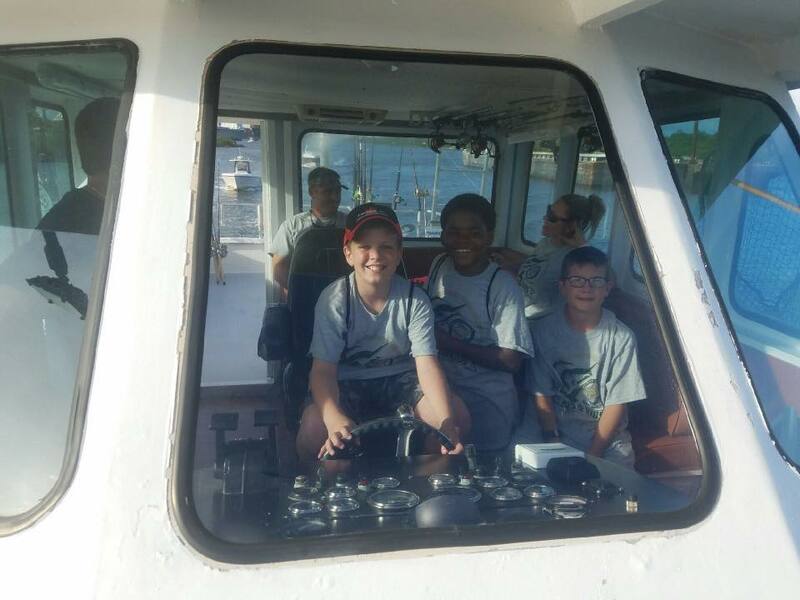 If the sea conditions are a bit too rough, or should any of the kids be prone to seasickness, we always come right in or start out hitting our spots in the Intracoastal where the waters are ALWAYS calm and the fishing can be good. The Intracoastal Waterway is an inland body of water that is sheltered from the winds and seas. 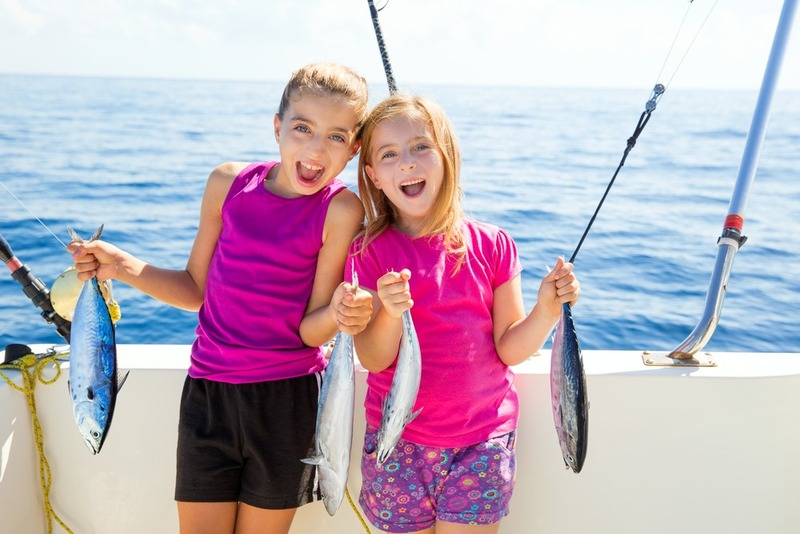 We have great fishing for kids with species such as Mangrove Snapper, Jack Crevalle, Barracuda, Snook, Tarpon and more! Once we leave the dock, the birthday fun begins. Our captain will assess the conditions and decide the best area to take the kids fishing. Our mates will begin to get the kids ready with bait and show them how to use the rods and reels. We are completely hands-on and we will be running around the boat to make sure every child gets equal attention. Once we’ve arrived at the fishing spot, we will help each and every kid get baited up, cast their line and hook/reel in the fish. 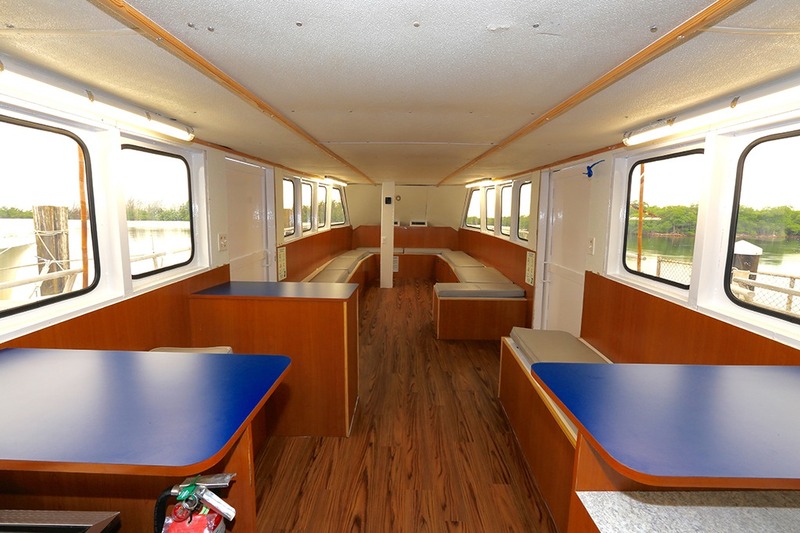 When the parents are ready to serve lunch and/or birthday cake, we can do so in our air-conditioned cabin with plenty of room for all the kids. However, some parents like to serve the cake on our back deck and keep the fishing going. It is all up to you. So if you’re looking for something different and have had enough of the cost of planning parties at warehouses crammed with trampolines, dark bowling alleys or singing with a costumed mouse over stale pizza, we have just what you’re looking for to create the memories to last forever. 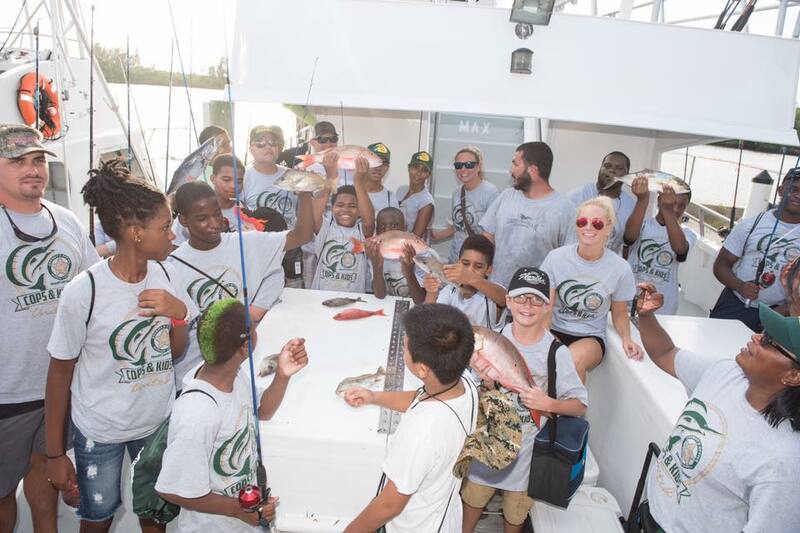 Our birthday fishing parties are great for children of all ages. Throw in some games, competitions, music, and cool decorations and you will get credit for throwing one of the coolest birthday parties ever. Don’t wait! 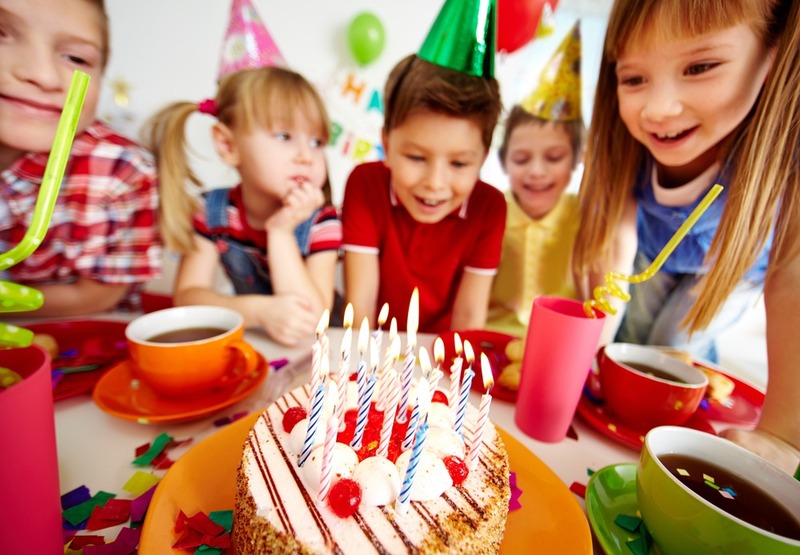 Give us a call to celebrate your child’s birthday or special event. 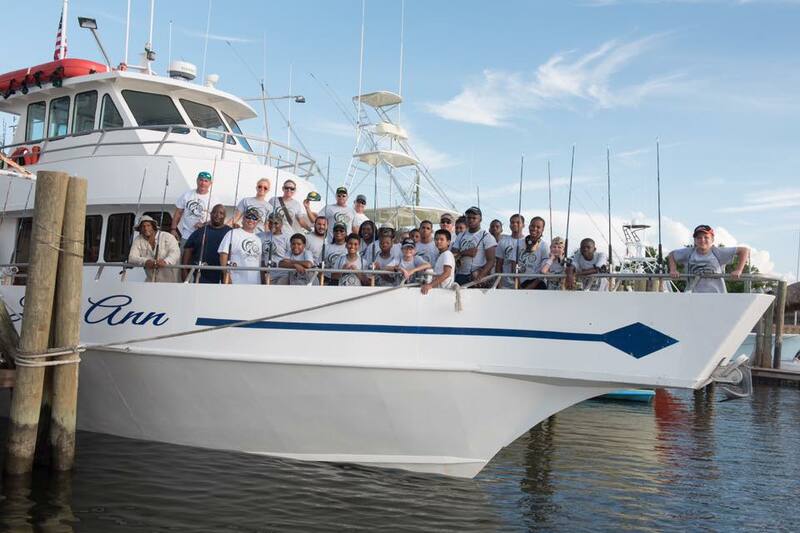 Check out MORE INFO on our kid friendly fishing trips.